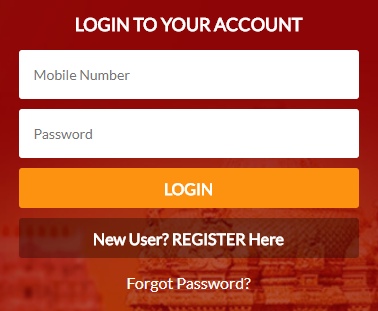 Tirumala Srivari Seva Online Application, Tickets, Timings Register now. Tirumala Srivari Seva for Voluntary Service in Tirumala and Tirupati temples. Laddu Seva, Parakamani Seva, Arjitha Seva Tickets, Temple Service application check now. TTD Srivari Seva Application Form PDF Download. Tirumala Tirupati Devasthanams(TTD) manages around 10,000 Temples all over the state. But its main temple to look after is Sri Venkateswara Swamy Temple. This devotional place attracts around 1.5 Lak devotees per each day. More than 100 Thousand try to have a darshan or Lord balaji in various time slots. Previously TTD tried to hire contract employees, but it was unfruitful because of cost and transparency in service. The Executive Officer of TTD board has started Srivari Seva service option in Tirumala and Tirupati. Under this scheme devotees belonging to 10 States in India can participate for free voluntary service. Daily a need for 1 to 5 thousands staff needed for various temple activities. Let us have a look about sevas available for Srivari Sevaks. Parakamani Seva – For nationalised bank employees only. Laddu Seva – Distribution of Laddu Prasadams in TTD counters. Annadana Seva – Various food distribution centers, Vengamamba Anna Prasada centre, Q-lines, Temple Q Management etc. There is no Srivari Seva service tickets available to book. It is a free enrollment. Temple will provide accommodation, food and one day darshan for free after service completion. A reward of two Laddus are given at the end of service. The accommodation for Male sevaks is at Seva Sadan near RTC Bus depot. For Female Sevaks accommodation is at PAC III complex. Srivari servaks must appear for service in grounds. Maximum of 7 days are allowed for participation in service. For laddu seva it is three days, Parakamani Seva only 2 days. Enrolments for Parakamani seva is limited to 250 to 400 per each day. Laddu seva and other duties, temple darshan q management etc will be max of 7 days. Devotees can even apply directly with enrolment form at Srivari Seva Sadan Office. Here an user need to be registered by the Leader of the group. In his account and credibility all the other participants are allowed to participate. Age limit is between 18 years 65 years for applicants. Check the availability before going for login and registering. The seva ticket booking is same as darshan booking and no money is collected for enrolment into Tirumala Srivari Seva. Check the instructions and important notes before you book. Once appeared for the Service, you cannot repeat your service till three months period. For Arjitha Serva ticket you need to go in www.ttdsevaonline.com. This Srivari Seva is a volunteers type not a darshan related. Nice information about ttd online services. Every devottee who plan their travel to tirumala are getting very useful with this information. I am Naiini. I am interested to do sreevari seva 7 days from 15th October 2018 to 21 st October 3 members group aged 61,45 and 56 respectively. Hi This is Bala. The information is very useful to get and book the tickets in online. I am very satisfied with the service of TTD website. Hi I am hanish from Chennai. Me and my group of friends will participate for Sri Vari sevaks Voluntary Service Program every month for five days. The board will provide free meals and excellent accommodation for Srivary Seva persons. I got the temple duty twice in my past visits to Tirumala. HI I am Venu from Hyderabad working in a private banking sector. I want to do Seva and trying to register online so many time but its rejecting. Please give the facility to register any Seva by an Individual. how can we apply induvidually? I am an individual. I like to do voluntary service for Lord Venkateswara. I tried registering on line five times. Every time my application was rejectd. Kindly advise. U can directly go to tirumala . And enrol at SEVA SADAN just beside BALAJI BUS STOP. U can go at any time from 5 a.m to 10 p.m round the month. Hi, Is there any time line that we need to book 3months before? i want to do seva in between Oct 25th to Nov 20th. Please tell me if it is possible. I am mahesh aged 21 from karnataka. I know telugu, kannada, hindi and english. i want to do voluntry seva. but i dont have a team. so whoever want to do seva and dont have a team contact me 07259187450. LET US GATHER TOGETHER AND FORM A TEAM TO DO SEVA IN THIS MONTH. Got registered using the instructions provided by this site. very useful site. I want to participate in srivari seva in the month of May/June 2018. If any one needs a member in their team or if any one wants to join in my team please contact me. T. Venkatappa Rao 9248667047. You can apply as an individual also and it can be done in online. This is very simple process to do it online. please send me the how to registration parakamaniseva,I am working for TSTRANSCO as Addl.Asst.Engineer,My no 9490154942. I had one one doubt? I need to cancel my Srivariseva, & book for 7 days will any body help, that how to cancel my Srivariseva booking. can I as a single person come and take part in srivari seva. If not what is the procedure and whom should i contact in chennai. I am a self-employed person from vizag.i wish to go for parakamani Deva.please guide me the procedure.